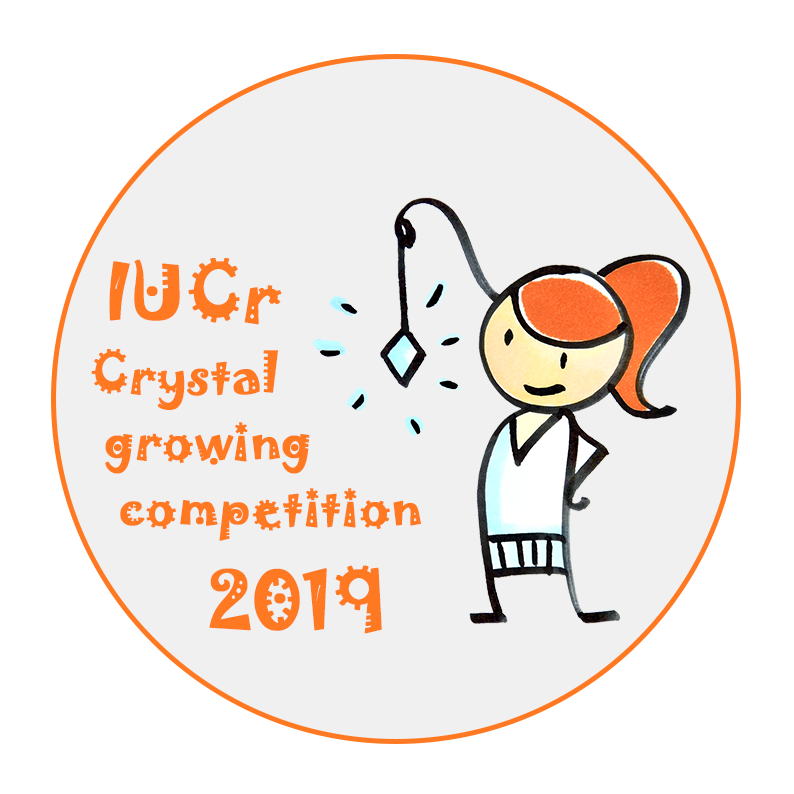 The logo for the IUCr Crystal growing competition features Joanna, the character created by Quidos for the video "How to grow a single crystal" (design ©S. Allaeys). 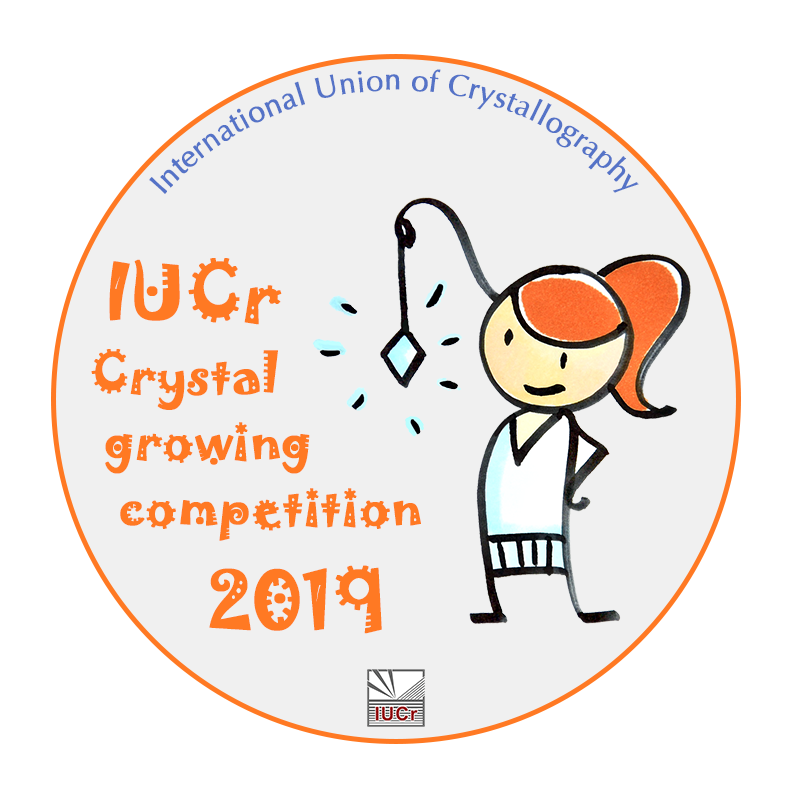 Different versions of the logo of the IUCr crystal growing competition 2019 are available at this page. Please always include a statement inviting school children participating in the local contest to submit their videos to the IUCr crystal growing competition to have a chance to compete for an extra prize. Two versions of the logo are available. Please choose the correct one based on the size it will appear on your web site or document. If you wish to use this logo, please send a request to iycr2014@iucr.org, including any details of the event, the contact person, the website address and the types of documents (leaflets, posters, brochures, panels, etc.) where this logo will be used. 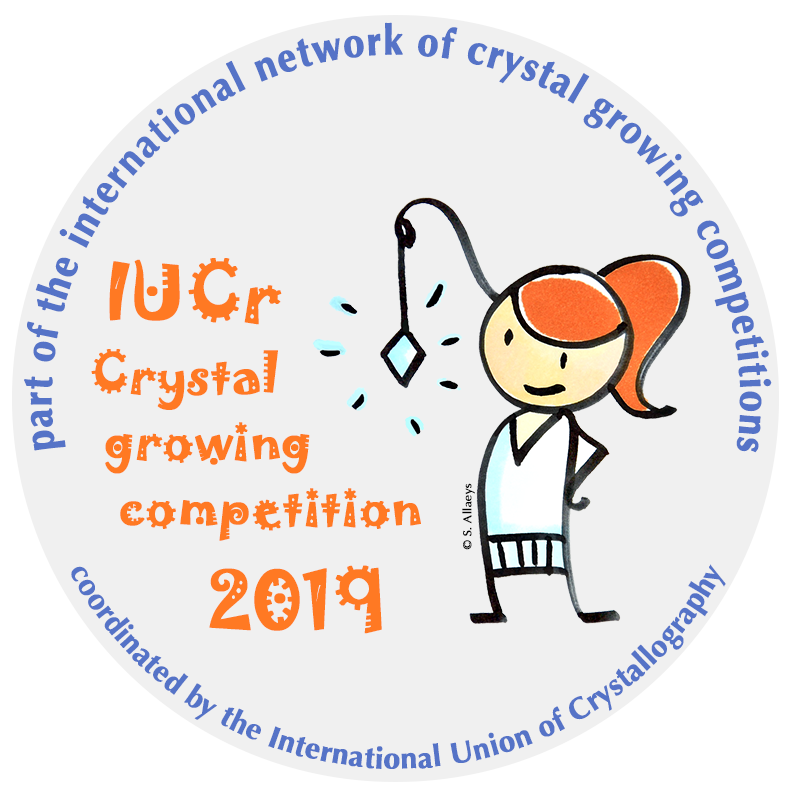 Organizers of local initiatives adhering to the IUCr network of crystal growing competitions should use the following badge on their web site and all materials related to the event. The image must be not less than 200 x 200 px in size and linked to http://www.iycr2014.org/participate/crystal-growing-competition.